It's been said many times that most truckers don't get as much exercise as they probably need. While the situation may be perfectly understandable - pro drivers spend most of their days behind the wheel for hours at a time - it's certainly not ideal, for their mental or physical well-being. Because drivers are sitting down for long stretches every day, they may feel they don't have the opportunity to exercise, but that's not quite true, according to the Advanced Career Institute. There are a number of stretches and small exercises you can do right from your driver's seat, like shoulder and back flexes, stretching your hands and crunching your abs. They may not feel like a lot of work, but taken collectively, these can help you feel a little more fit. No driver is behind the wheel all day every day, ACI further advised. As such, when you pull off to refuel, get a truck loaded or unloaded, have a meal or use the restroom, take five minutes here and 10 minutes there to go for a walk or jog can do a lot of good, even in small doses. If you have to stay in your cab overnight or while you're in detention, you have a few workout opportunities, according to Livestrong. One of them is to do pushups or plank on your cab's bed. And if your cab doesn't have a bed, doing it on the ground near the truck or in a loading facility can also be quite effective. Another in-cab or parked opportunity comes in the form of being able to do sit-ups or crunches, Livestrong noted. Combining these with the driver's seat ab flexes can be a great way to double down on that workout. 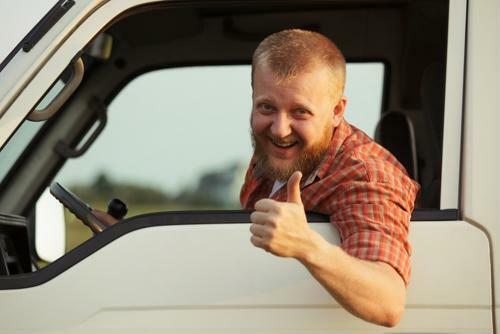 If you have space in your truck, you might want to think about packing some barbells or resistance bands to add a little extra oomph to whatever workouts you're doing, according to Men's Health. Lifting weights is a great way to burn fat, and working out with resistance bands makes normal activities just a little harder, ensuring you get a bit more out of every workout. You might be wise to limit any workouts you do until you know what you can handle, Men's Health added. Setting goals like "I'm going to do 20 pushups" or "I'm going to walk for 10 minutes" will ensure you get some exercise without burning yourself out mentally or physically. Coupling any or all of these exercises with a good diet should help to improve your health more than you might think, so all it may take to live healthier is to be a little more proactive.